A complete guide to choose and install 3D wallpaper for the living room, bedroom, kid's room walls. 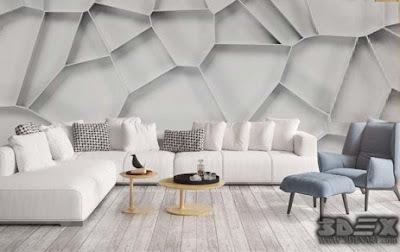 With 2019 collection of 3D wallpaper designs for walls for inspiration. In the market for finishing materials, there are always new novelties, and it is not easy to understand such a huge assortment. 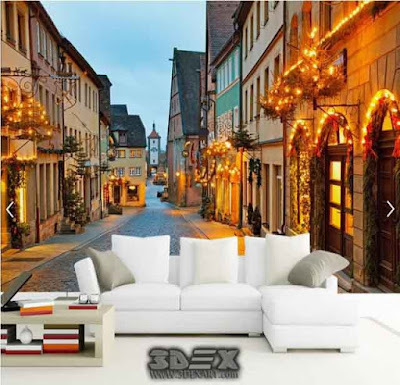 This article discusses in detail such a popular type of finishing material as 3D wallpaper for walls: the photo catalog of ready solutions will clearly demonstrate all the information presented. Also, advantages and disadvantages will be considered, the main types of 3D wallpaper for living room walls, how they differ and how to use them in the interior of the apartment. There are many ways to revive the boring design of the room. 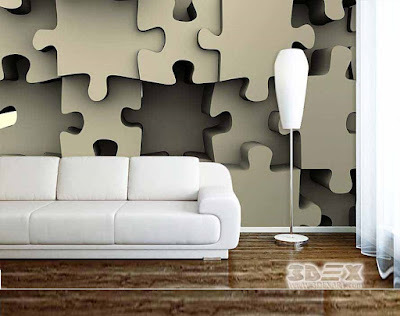 One of the most practical, effective and inexpensive options is 3D wallpaper for home walls. 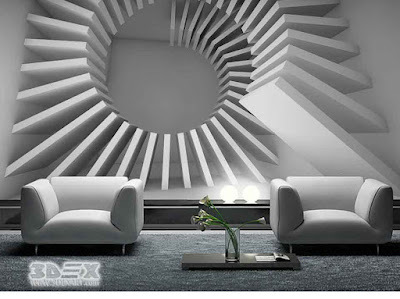 Designs clearly demonstrate how apartments radically transformed thanks to such 3D wall murals. 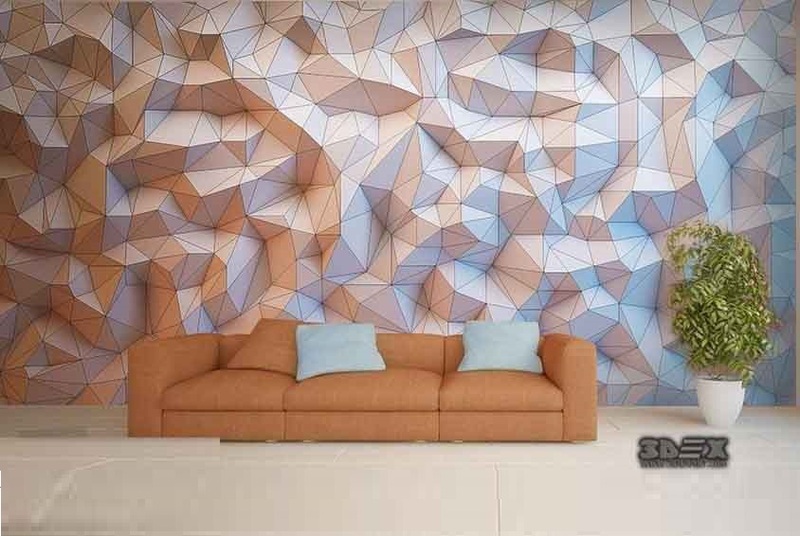 How to use 3D wallpaper for walls? 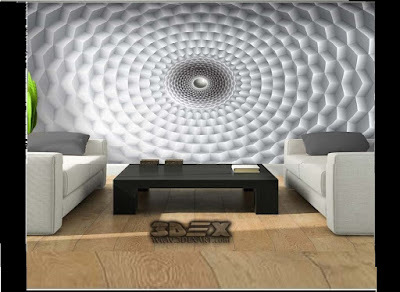 Although 3D wallpaper for living rooms fit into almost any design, they make the greatest impression at a distance. 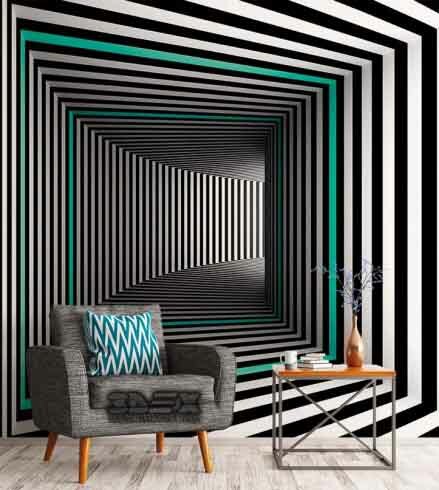 Nevertheless, on the Internet, you can find wonderful examples of the use of stereoscopic 3D wall murals in the interior of small apartments or even studios. The main thing is to choose the right picture, size, and color, and choose the place for them in the interior correctly. 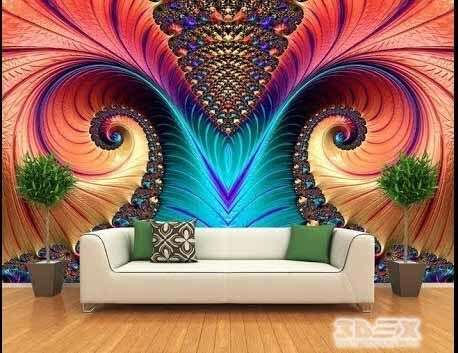 3D wallpaper designs for living room walls are a great option for everyone who wants to spice up the interior of their apartment, office or service. We recommend them especially to small rooms because they optically enlarge the space. They are perfect for small apartments in blocks, we recommend them as an effective element of the living room, bedroom or youth room decoration, which will not only add variety to space but will also increase the comfort of everyday use. 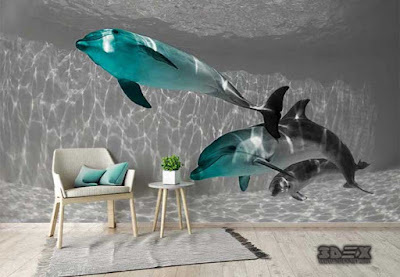 It is also worth noting that 3D wall murals have very diverse patterns, thanks to which you can easily match them to the atmosphere of modern and classic rooms. You can also use them as an effective complement to stylizations arranged in a specific style, e.g. 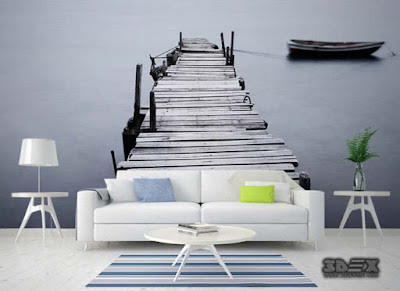 in a functional Scandinavian living room or a romantic English bedroom. 3D wallpaper designs are also great in offices, becoming employees inspiration for creative action. To diversify the business space, we especially recommend modern patterns that intrigue with depth effect. 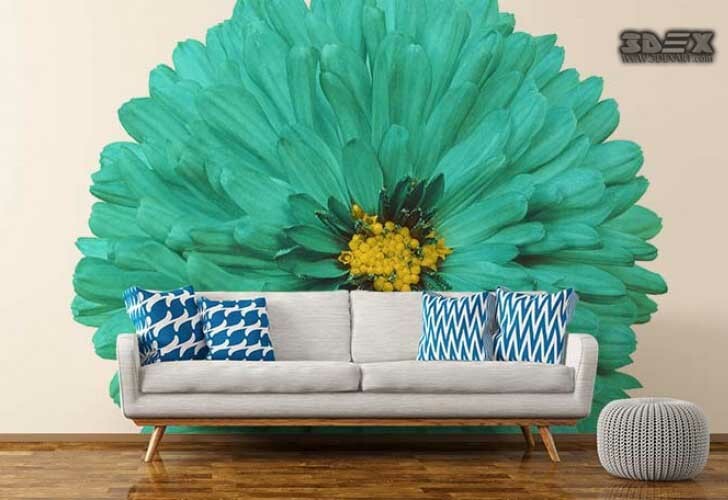 In the three-dimensional version, 3D nature wallpaper with tree alleys, wall murals with forest alleys and photo wallpapers with a view of the horizon are perfectly presented. The models that best enlarge the space include 3D wallpapers ideas with an open window, colonnades, and open doors. 3D wallpaper for the living room is a great way to easily and cheaply make a spectacular metamorphosis of the interior. 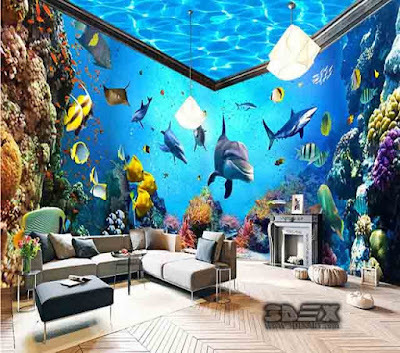 We invite you to familiarize yourself with the wide range of 3D wallpaper for the living room, bedroom, kids room, office and restaurant that are available in online store. Among them, we have collected a wide selection of abstract motifs, landscapes, city views, paintings and wall murals depicting the beauty of architecture. To enhance the effect of the 3D wallpaper for living room wall, you can additionally place ultraviolet lamps, for example, Wood lamps or BLB lamps. The light emitted by them is practically indistinguishable to the human eye, but it gives a special depth and realism to the image. Installation of such lighting will require certain financial costs, but the effect of a three-dimensional image illuminated at the right angle will be simply unforgettable. 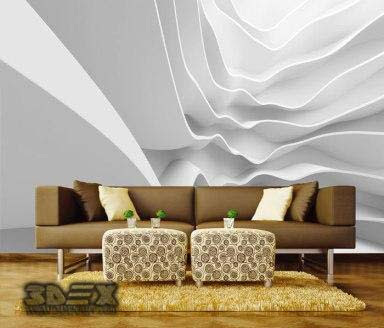 3D wallpaper designs for walls are characterized by good wear resistance and meet all fire safety requirements. They are made from environmentally friendly materials, and they pass air well, which allows them to be used even in kid's rooms. 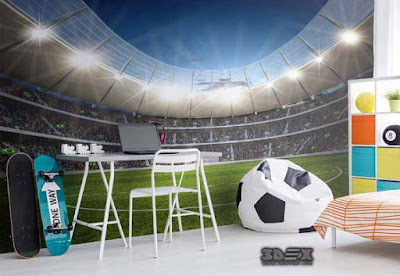 3D wall murals are not afraid of moisture, dirt, temperature drops, ultraviolet rays, which means that care for them will not cause any trouble - most of the contaminants can easily be washed off with ordinary detergents or a simple soap solution. Their service life exceeds 10 years, and over time they do not burn out and do not lose their original appearance. 3D wallpaper designs are extremely decorative. Unlike conventional ones, so popular a few decades ago, they allow not only to decorate the room, but also create the illusion of the reality of the image depicted on them. 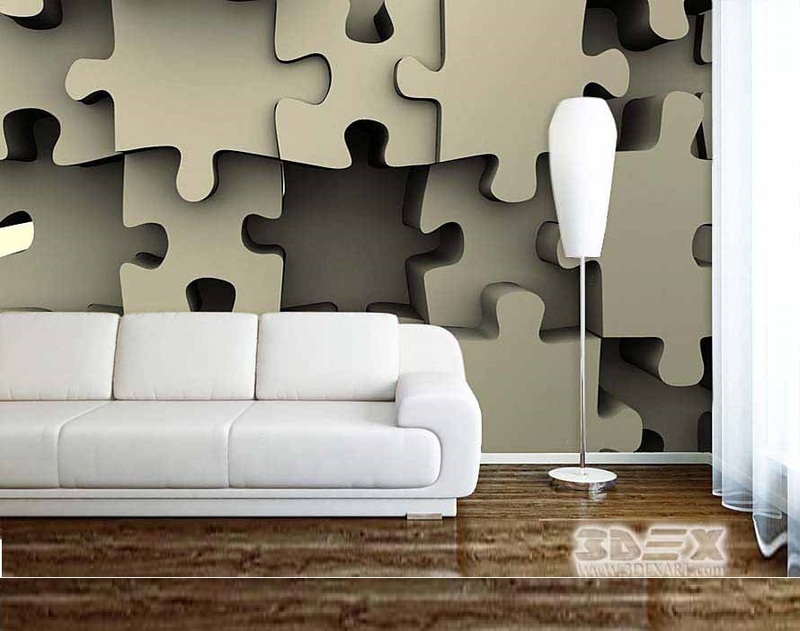 3D wallpaper as if "pushing" the living room walls, give the space depth, due to which it is easy to hide the shortcomings of the layout. With their help, you can visually enlarge the room, expand a narrow corridor, raise the low ceiling. 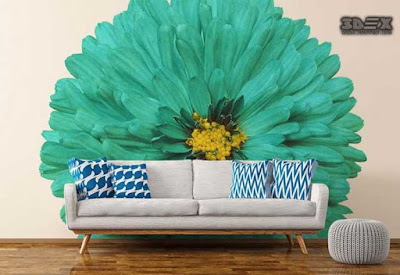 Beautiful 3D wall murals on the wall will become the central element of design in a spacious hall and in a typical hallway, where you can often find no space for the smallest furniture or complex design ideas. They are also often used to separate spaces into functional areas. It is achieved not only due to the size or image but also due to their color. Any apartment will be unique with them. Catalogs of photos presented on specialized sites will help to make the right choice. These same sites often offer customers to develop wallpaper on an individual order. When all the questions are agreed upon, the process of printing will take only a few hours. Wall murals have certain drawbacks. Despite the relative ease of gluing, the surface under them must first be carefully leveled. Any joint, pothole or roughness will negate all of their advantages, including the realistic effect of the image. With regard to directly pasting the murals. They are difficult to buy in a building store. Most often they have to be ordered on specialized sites that offer services of various printing companies. 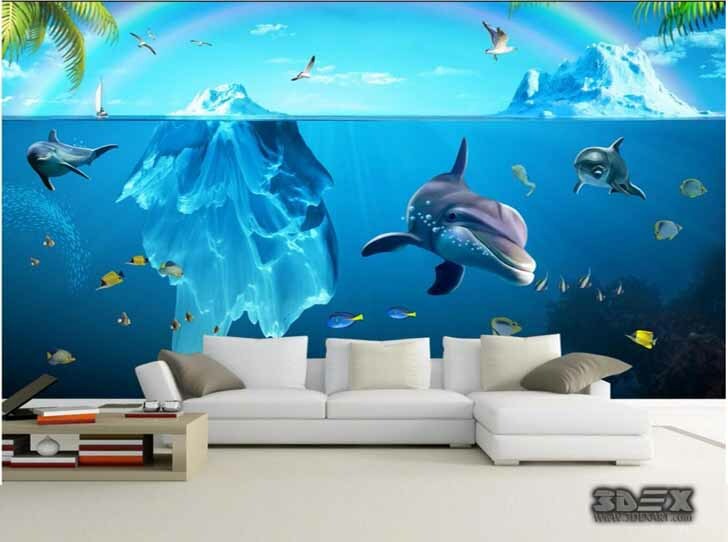 These same sites provide detailed information on the selection of photos, 3D wallpaper prices for living room walls and proper application. By the way, it is a high cost is considered one of their shortcomings. It is several times higher than the price of conventional ones and varies depending on: the complexity of the image, the method of printing and base material (non-woven, vinyl, fabric). Custom models are even more expensive, although in this case, you can choose not only a drawing (it can even be your own sketch or photo) but also the size of the canvas. In general, the high price of this finishing material is compensated by their long service life and ease of maintenance. In online stores, a wide selection of 3d wallpaper for walls is presented. Photo catalogs and prices on such sites are impressive with their diversity. 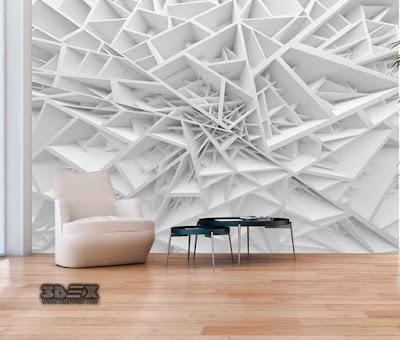 These are abstractions, urban landscapes, natural landscapes, flora and fauna, space, wallpaper in the style of fantasy or anime, stunning imitations of expensive finishing materials and much more. 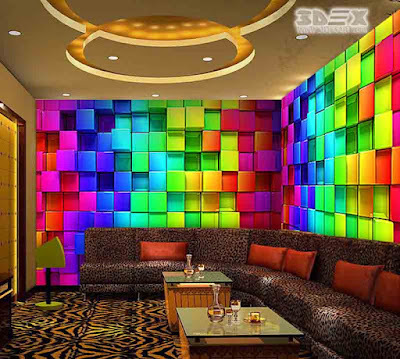 Fluorescent wallpaper is covered with a special (containing phosphorus) composition, which appears only in the dark. The image printed with it duplicates the main drawing on the wallpaper. The luminous paint itself does not create a 3D effect as such. It can even be printed on ordinary wallpaper. 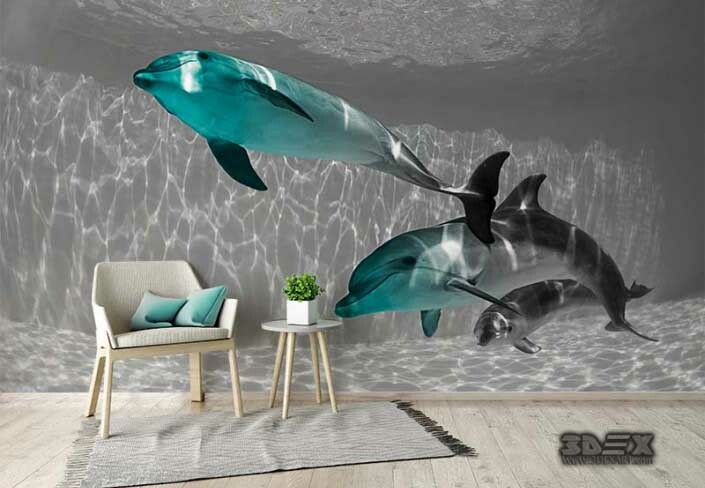 As for 3D wall murals, in the daytime, they will look like a usual panoramic design, and in the evening thanks to the mentioned composition and fluorescent lamps will light up the room with a softly flowing bluish light. 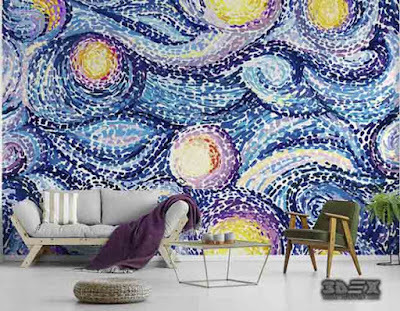 This is particularly effective on the wallpaper depicting the night cityscapes, seaports, galaxies, ocean depths. Note! 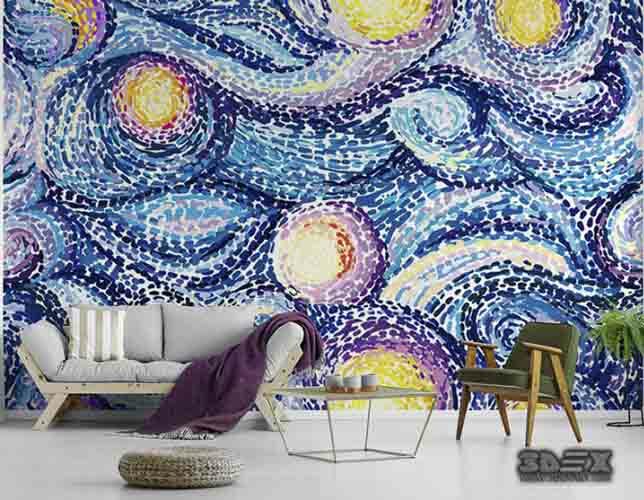 Thanks to the night illumination, fluorescent canvases are often used as wallpaper for children's walls. Photo catalogs on thematic sites demonstrate many successful solutions to the beautiful replacement of a standard night light. However, this backlight can not be turned off if it starts to interfere with sleep or irritate with time. 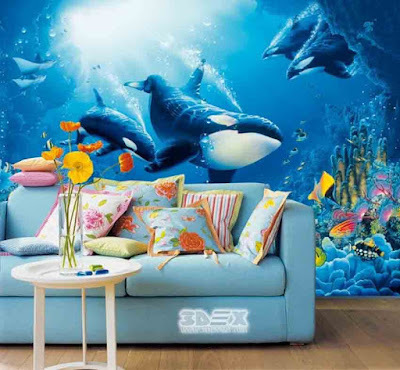 Therefore, whether it is worth putting such wallpaper in a children's room or a bedroom is a controversial issue. LED wallpaper, in fact, is not wallpaper. It is a complex system consisting of many small built-in special chip LEDs. With the help of a remote or mobile application, you can easily change the level of illumination, color, hue and even the image itself. These wallpapers are quite suitable as an additional highlight. 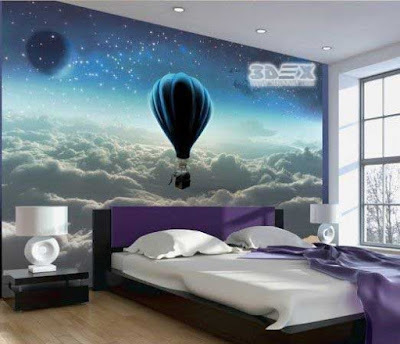 Unlike fluorescent, LED wallpaper can be safely installed in children's rooms. They will perfectly cope with the role of a night lamp, and when the child falls asleep, they can be turned off. The disadvantages of this finishing material include its high cost and complexity of installation (it must be done only by professionals).